Yep, I found that out today, I didn't think I was getting any points because they weren't going up much after I won. I also added the submenu for Ranking Battle. I might be down to do the screen caps on my computer and use a photo editor to insert the text meaning next to the words. If someone beats me to it then oh well. Great job DK LOL that reads funny typing that. 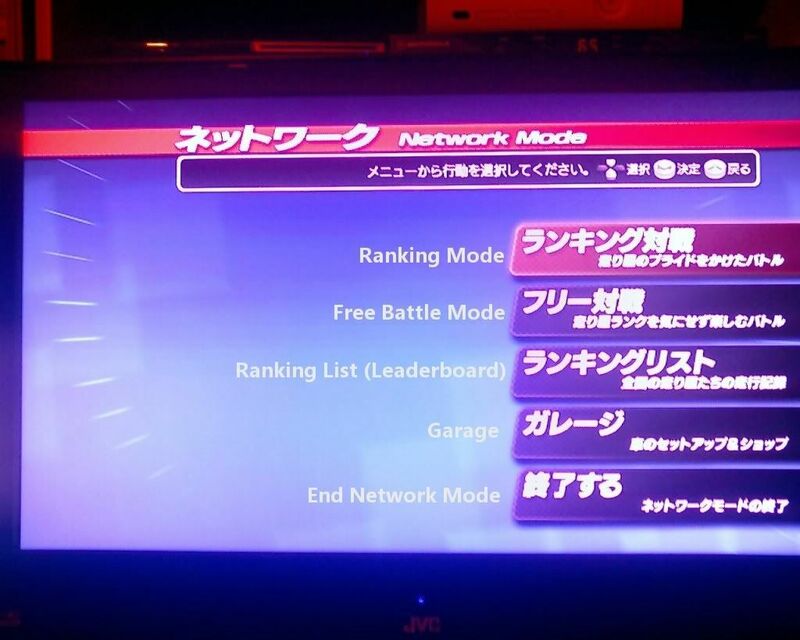 Hope someone figures out the meaning for free battle mode. 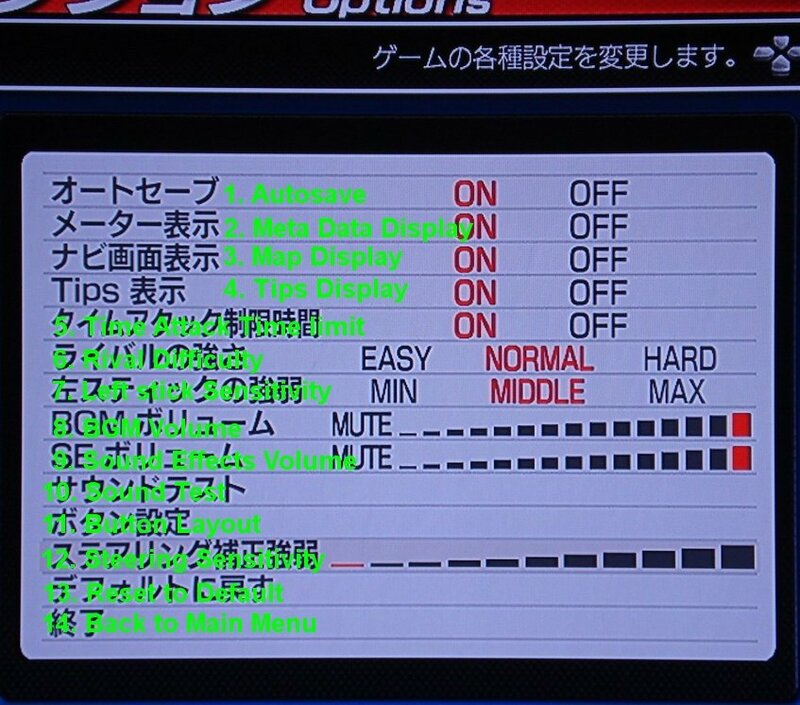 If you're talking about the submenus for free battle, I will translate it later tonight. 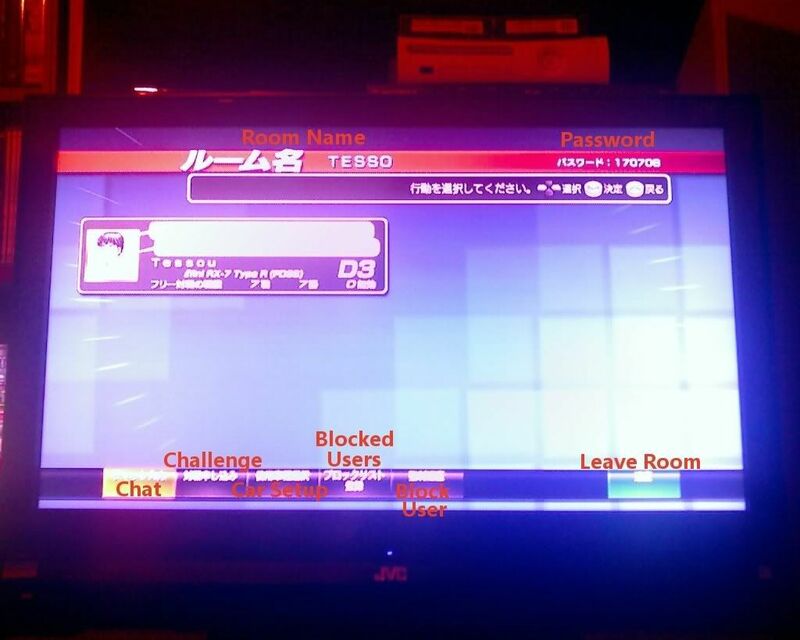 One thing I can't read is when you get into a room in free mode, sometimes there is a huge red kanji text over someones avatar, I think this means they are currently in a race, but I'm not 100%. In and only in the Network Garage's menu, a new option called Download Items is available. That means we'll eventually be able to download avatar parts. ¿does anybody knows how to acces to ranking battles? ,because when i enter displays a map of japan and something in a green squarebox in japanese ¿what does that mean? When you see the map of Japan it is searching for an opponent. If one is not found after a minute or two, you have to back out and re-search. I can usually find an opponent everytime, as long as it's not like 5am in Japan or something. Keep in mind most of the people playing this are in japan so you need to get on when it's in the evening and nite Japan time to find the most people. Funny, I thought I already translated those menus in the original Translation thread. Nowhere in that thread did you post about these menus. I saw multiple people ask about online menus, so I threw some up. No need to come in here and start saying you already did it. Obviously other people here couldn't find your post, because I can't find it. I didn't win a prize for throwing these up, so there's nothing to compete for if that's what you're getting at. I'm not picking a fight. I just remember that someone posted images straight from the online menus and I translated them for him. Dunno which thread it was in, probably buried in the main IDES thread somewhere. Well you should post those in this thread. Instead of claiming to be Christopher Columbus. I would love to have all the online menus translated. Why would I want to repost it? You did exactly what I did, so there's no need to post it again. All I said was that I had translated this before. If anything, you just made it more accessible. That's a good thing. I know a lot of people here are not in the mood to wade through 60+ pages in the main IDES thread to find the two posts I'm talking about. tessou what is happening? first the topic of the hall of failure and know this,take it easy man relax,it doesn´t matter is only a topic. how did your first ranking battle go? did they put you up with a S class driver? No need to try and bait me again, cjb. I was explaining the situation to the OP since he keeps misreading what I'm trying to say. ^ haha, i felt the same wrath from tesso in another thread. yeah i understand what your trying to say but some people don't use the search tool. I thought you had translated everything, I didn't do everyting yet, that's why I would say consolidate it all here, since I still can't find your pics. Either way, I thought you were attacking me, I know now you weren't, it's all good. 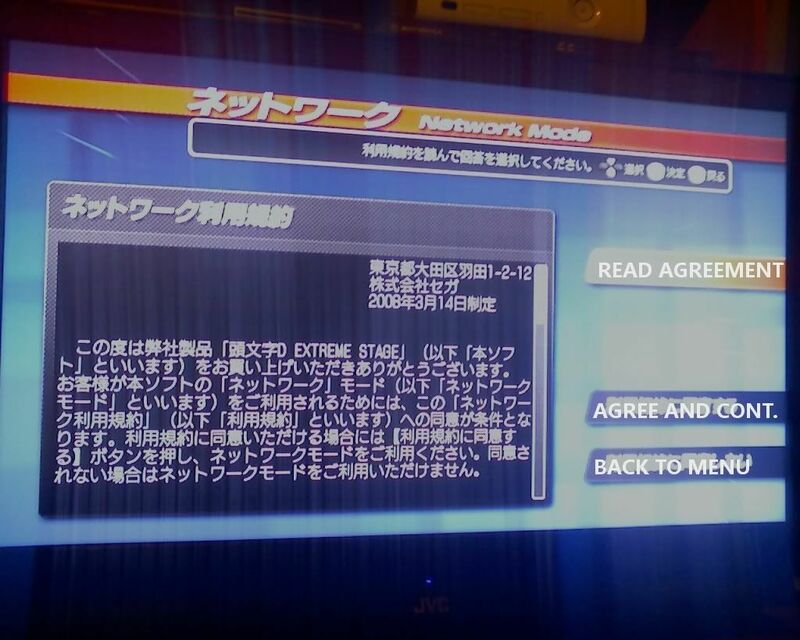 Okay, here's all the funky network mode menus with each part translated for you all. 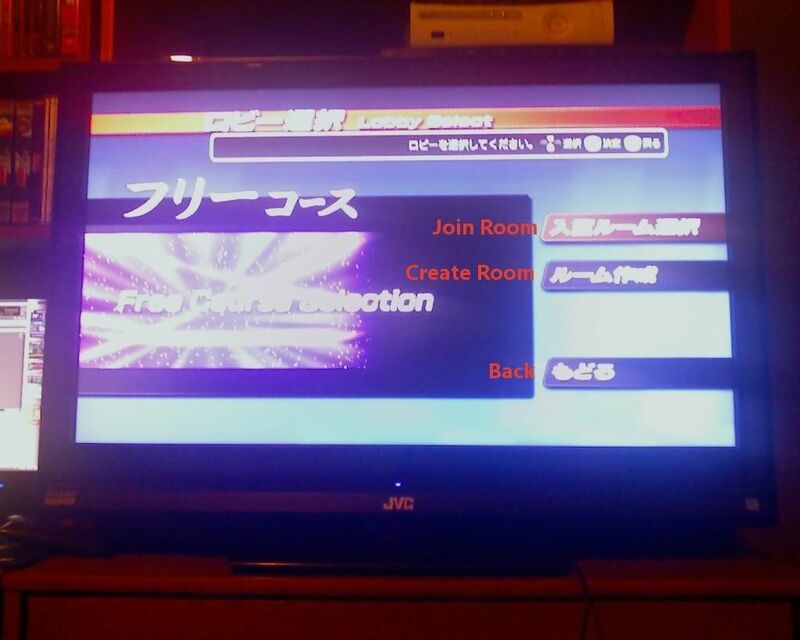 I put special emphasis on teaching people how to make their own rooms. For best results, you should select Free Course, since that lets challengers take you to any course instead of locking you to one place. Anyways, selecting any course will take you to a screen that looks like this. The top option takes you a list of available lobbies. Just select one and jump in, OR, you can make your own by selecting the second option. You will get a text entry field where you input the name of the room you want to make. Select YES at the option (it says "are you sure you want to make a room with this name?) and you'll get this dialogue. 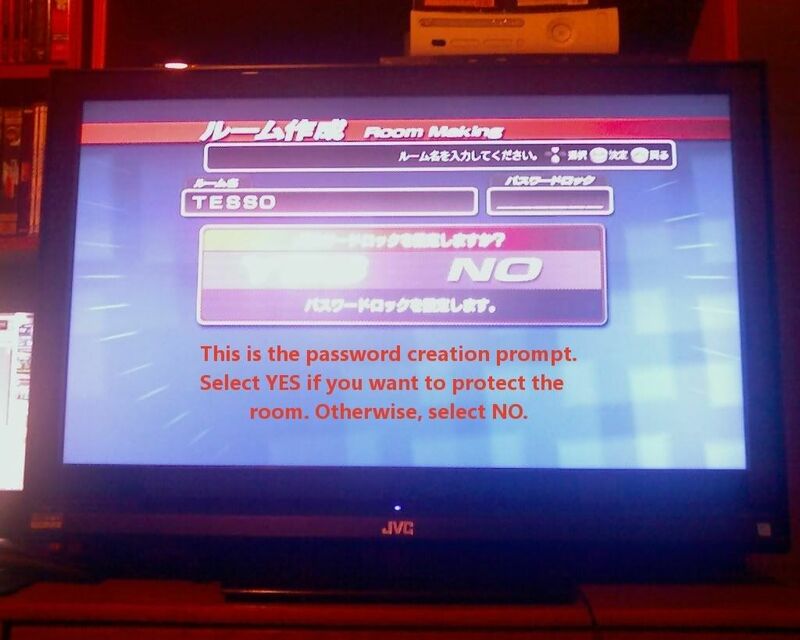 If you select YES, you can make a numbers-only password for the room so any unwanted visitors won't be able to get in. Here's what a lobby looks like. 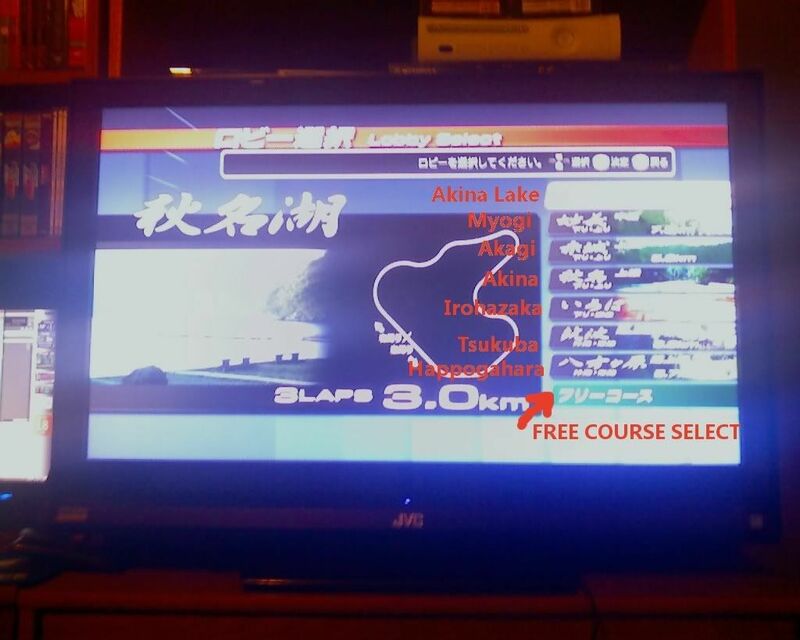 To start a race, simply select the second option, select an opponent, and click on them. Once they accept the challenge on their end, you can then set the parameters such as course (in free course mode only), direction, weather, and time of day. At the end, both players can select to have boost on or off. Boost will only turn off if BOTH players select "Off". When all is said and done, just select YES at the prompt, and wait for the race to load. That or you could learn how to scroll up on the page to see that we already translated it all for you guys.